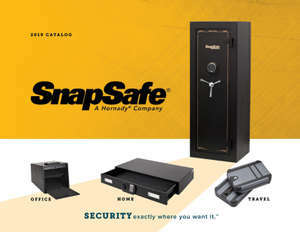 I love my Super Titan XXL Double Door Safe! I wanted to get a safe big enough to leave my rifles in their cases and still have plenty of room for ammo, mags, and other important things. Yes... I definitely picked the right one. Was able to move almost every piece on my own using a dolly except for the rear panel. That last piece is a really heavy fellow... think I lost 5 pounds in sweat that day lol. First I built the top, bottom, and sides then raised it upright to assemble. Installed front then rear as the weight of lifting it all from the ground would not be possible for my buddy and I. Installing the fire seal required some Gorrilla tape to hold it up... then I installed the top and held it there till my buddy could insert the sides to hold it by itself. From there... smooth sailing. Wish it came with a bolt down kit. But other than that... it’s great.